Lisbon Escorted Tours. We make private tours in Lisbon área. Our tours are not closed. Clients can ask you what they want to do when they contact us. It can be a day at the beach, an afternoon shopping, a night out to have fun. 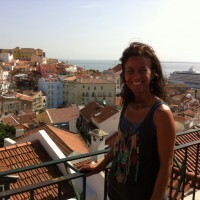 If you travel with kids and still want to know Lisbon, Sintra or Cascais, contact us. We can arrange things for you to visit our city and keep your children safe. If you travel in business, take a day for yourself, and relax with a visit, a day at the beach...everything to make you feel wellcome our city. Receba várias propostas de profissionais como Diversity Tours em poucas horas.